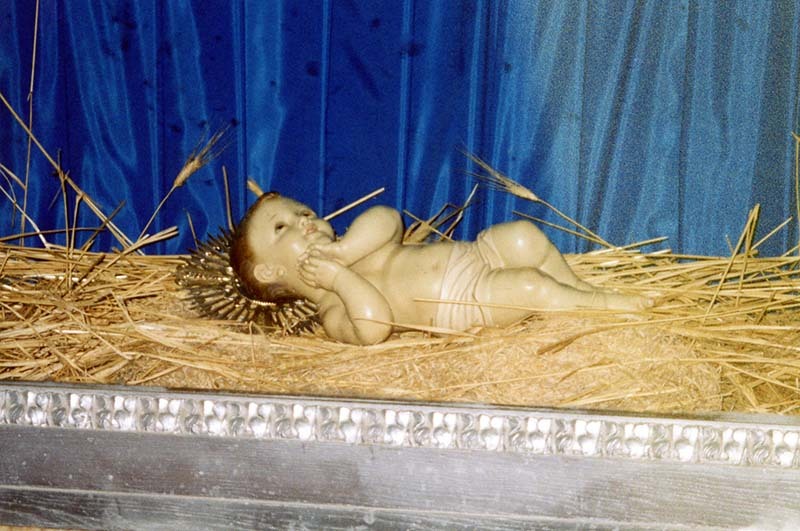 This is the figure of Baby Jesus that is used in the Church of the Nativity Christmas Eve Mass that is televised around the world. As beautiful as it is, it’s a poor, artificial representation of the true Jesus. How real is He in your life? Is He stiff like a plaster statue, or does He sit beside you and chat with you and listen to you with deep compassion and understanding and wonderful guidance? Click on the bed of straw in this photo to see the place where His manger used to be.